Please have your recycling cart out the night before your recycling day. Are you a Red or Blue week? Your pickup day is determined by the street your recycling cart is picked up on and which color week the street falls on. Click your town below for more information. 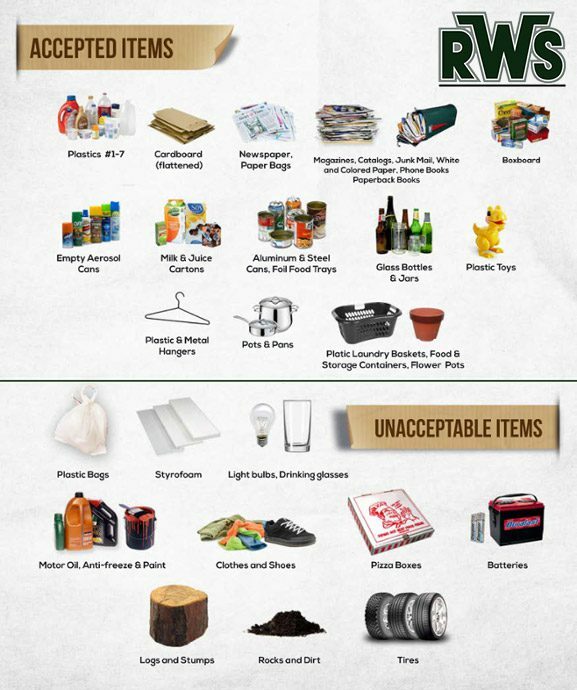 Not sure what you can and cannot recycle? Please refer to the recycling guide below.